Hey, just so you know ... this post is now about 8 years and 9 months old. Please keep that in mind as it very well may contain broken links and/or outdated information. 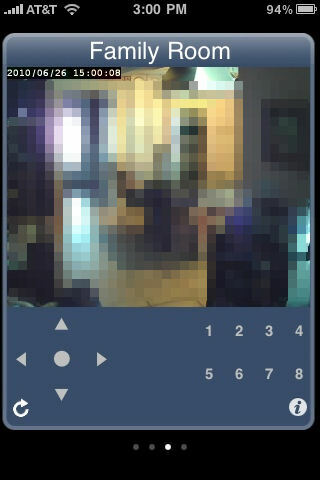 I set up two TV-IP121W cameras and two TV-IP422W cameras at various locations in the house. Both models are wireless, have infrared night vision, motion detection, and e-mail alert capabilities, and support 30fps VGA (640×480) streaming video. The TV-IP422W also has pan/tilt/zoom (PTZ) features. 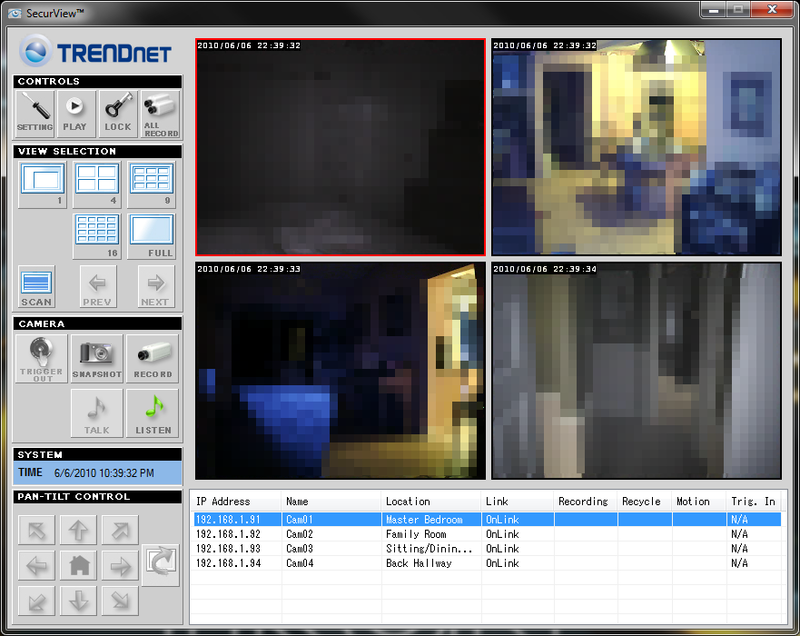 In addition to configuring and viewing the camera feed through your web browser (and even over the internet once you set up the proper port forwarding on your router), the cameras come with TRENDnet’s SecureView desktop PC software. In addition to viewing multiple cameras at once, you can also use SecureView to record the video feeds. Configuring the cameras through their web-based interface was relative easy. I connected each one via network cable to my router and let it grab a DHCP address. Once connected to the web interface I was able to change the network settings to connect to my wireless network and then disconnected the cable. The only snag I ran into with the setup is that the motion detection portion requires an ActiveX control so I couldn’t access it in Firefox without the IETab Plus extension. This is fine on Windows, but I was out of luck doing that on my EeePC running Ubuntu (I tried messing with Wine but couldn’t get IE7 working). Now, as I mentioned I wanted to be able to keep tabs on the house while we were away which meant being able to check the cameras while on-the-go. Typically, Safari on my iPhone wouldn’t display the video stream from the cameras (since the page uses a Java or ActiveX control) so I turned to eyeCam ($5). This handy little app let me add the addresses (and authentication) for my cameras and view the video stream on my iPhone. It even supports the PTZ presets and allows me to manually control the PTZ right from the phone.It supports a wide range of IP cameras and is worth checking out. Before we left, I set up some motion detection events so that the cameras would send me an e-mail (with snapshots) if they detected any motion in certain areas of the house (near windows, doors, etc.). However, I discovered that with a digital camera, motion sensing is determined by a change of pixels. Thus, as the sun rose and the light coming through the windows increased, it would trigger the motion sensor. As a result, I was getting hundreds of motion detection e-mails a day and eventually had to just shut them all off. Oops! Since we got back from the trip I’ve tweaked the sensitivity of the motion detection and also added a schedule so that the motion triggers only fire at certain times of the day, which makes the alerts more manageable. Finally, the other problem I had was with quality control: my second TV-IP121W unit was faulty. After getting it all set up and working, it suddenly refused to boot after I had unplugged it to move it to its final location. The orange LED would just stay on and the device would not appear on the network (even when directly connected with a cable). TRENDnet support recommended I exchange it, so I sent it back to Amazon. The replacement camera had the same problem so I had to send that one back as well. Finally the third unit I received seemed to be stable (at least, all of the cameras worked during our 10 day vacation). However, since returning from vacation I have seen that third camera exhibit the same problem. Leaving it unplugged for about 20 minutes seems to fix the problem, so maybe it’s heat-related (although once it’s up, it’s pretty stable). I should probably send that one back too, but if I can’t return it to Amazon, TRENDnet has a 3-year limited warranty that should cover it. I’ve sent that third faulty camera back to TRENDnet for an RMA replacement. Every time the power goes out, the camera would hang on boot and would not connect the network until I left it unplugged (from the back of the camera itself, not the wall) for about 15-20 minutes. Tech support had me try reflashing the firmware and a few other things before deeming the unit defective. Hopefully the replacement unit, when I receive it, doesn’t have the same problem. IMPORTANT! 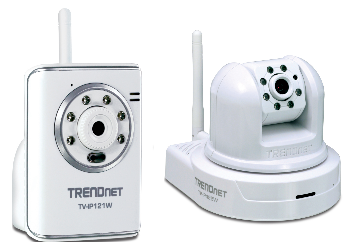 If you have a TRENDnet webcam that is accessible over the internet, download the latest firmware and update it ASAP! Read more here. I’ve replaced the TV-IP121W with the newer TV-IP572PI. The TV-IP422W is discontinued, but a new critical firmware update was just released for it (V1.1.1 build 98).